If you’re living without cable and miss idly flipping the channels to see what’s on, Channel Master is trying to devise an online video equivalent. 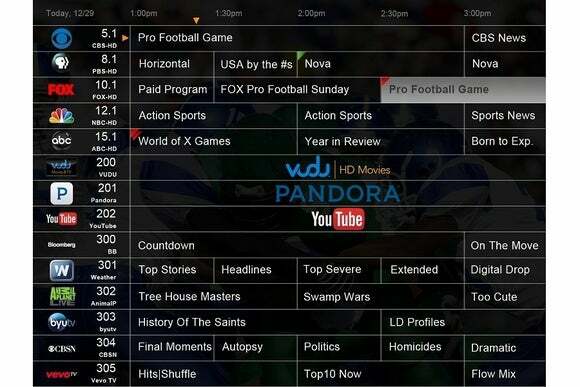 At CES, the company showed off a TV Guide-like interface for live, online video streams. Using Channel Master’s existing DVR+ box, the demo listed what’s on at sites like Vevo, CBSN, and Animal Planet Live, which offer round-the-clock streaming video through the Web. But while Channel Master says it will offer this “LinearTV” feature to DVR+ users early this year, some of the logistics remain murky. The company is still figuring out which online sources to put in the guide, and it’s unclear whether major content providers like Animal Planet and BBC would be okay with Channel Master aggregating and repackaging their video streams without permission. (Representatives cautioned that the channels on display at CES were for demonstration purposes only, and not necessarily indicative of the final product.) It’ll be interesting to see how the final product differs when it launches in the coming months. Why this matters: One of the big drawbacks with ditching cable is the difficulty in finding live, linear programming. Services like Netflix make you hand-pick exactly what to watch next, which is a hassle when you just want to turn something on and tune out. While there are plenty of live video sources online, they can be hard to find and aren’t always available on devices like Roku and Apple TV. Some question marks with LinearTV remain, but Channel Master could have a killer app for cord-cutters on its hands if it can pull it off.